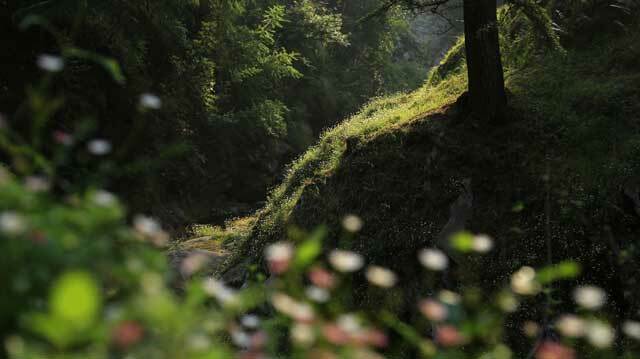 Healing Forest is a journey to discover the magical healing powers of nature. To find ways to reconnect people with nature. Join us in this exploration of fascinating forests and inspiring stories of healing from nature. Our aim is simple. Helping people heal. Helping Forests heal. Forests are known to have great healing properties. As humans, we have evolved in nature. It’s where we feel most comfortable. It has been scientifically proven that when we spend time in nature, our brain behaves differently. It affects how we feel and think, which has a direct impact on our immunity and healing powers. Countries like South Korea and Japan have designated healing forests. Forests that one can go to find calm, balance and good health. Forests that help people recover, relax and revive. How Forests Heal People (film download link) | *Do help us share the idea. Our world could use some healing. If this idea interests you, please subscribe to this blog with your email. Here are some of the things we hope to do: Organise nature walks. Publish maps of healing forest trails. Bring out new films on the healing powers of nature. Create conscious communities. Provide natural healing tips. Tell stories of inspiring people. Discover fascinating forests that can serve as therapy forests. Do action projects that give back to nature. Click on these links to read our latest posts and healing stories. Feel free to reach out to us with your thoughts in the comment box below. To know more about this initiative visit the about page. Please share this with people in your life who may need a moment of calm in their life. Recycle your phone interactive campaign. In this short movie made specifically for youtube, we have used an innovative annotations feature to make the film interactive. A short film made in the Amazon rainforest of Ecuador for our project ‘Enchanted Lands & Fables‘. A short documentary on an organization that is transforming lives. Tell us what you think about these movies. We’d love to hear your feedback. A short film made for Open-Space Pune to find out the value of 500 Rs. for different people in our society. If I give you 500Rs. What would you do with it? This film has been shot over a period of 2 years across various slums in Mumbai. However the stories are not about poverty, misery or hunger. The film takes you to an unusual world through the eyes of children. They show you that even in the darkest of times and most difficult of situations it is possible to find happiness and hope. The film has been made with children from 7 non-profit organizations across Mumbai. We shall be releasing one story every month on this web-site. To follow the film, please subscribe. Please share the link of this page to help us spread the word about Jadui Pankh.